The landing page for the forums has links to some general how-to content – setting up the Chromecast, apps, and so on. 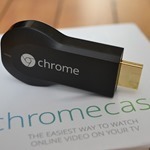 There is also a thread in the product forums with the 12 (supposedly) most frequently asked Chromecast questions. The threads can be sorted by category or date. There are already a few dozen threads to search for answers to your problems, or just start a new one.